Tough, functional and light weight- only 14 oz. 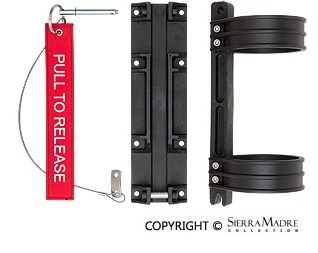 Cannot be accidentally disengaged and "Pull to Release" tag has high visibility. Does not obscure nameplate and is compatible with the H3R seat mount.